Sam Chui is the world’s most followed airline blogger interviews a pilot. 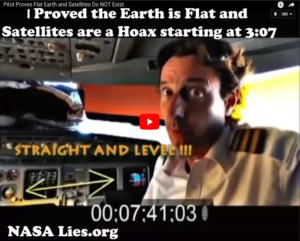 The pilot proves the Earth is Flat and that Satellites do not exist. Scroll to 3:15 in the video. You will also be able to download the video directly as soon as I FTP the file. Other pilots who prove the earth is flat. There is simply no visible curve.